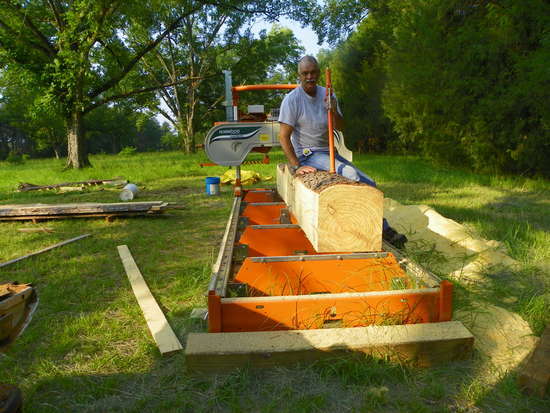 I am cutting some very nice loblolly pines for my new mancave project,...er..workshop expansion. about had it. I was too wore out. I really needed someone to offer some assistance, a helping hand. I called out for some HELP...PLEASE!!! Then it happened. I heard a loud whooshing sound overhead. That's right folks. Lumberdog, strange visitor from an alien planet. stack and sticker heavy boards and turn cants with a single paw. sawing. 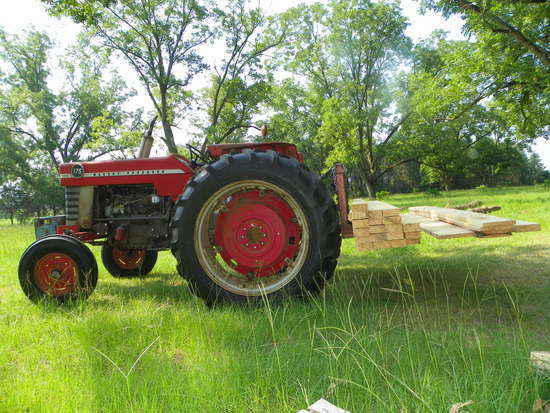 Loaded 19 2x4s, 1 2x6, 1 1x10, and 3 1x6 on the tractor. Well, I reckon Lumberdog will at least keep the critters and varmints run off from the slabpile. Now that's man's best friend! 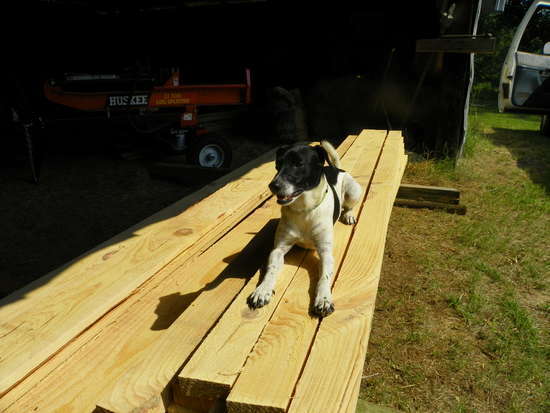 Great looking lumber and great looking dog. If you had been in Mississippi, I would have thought you were going to say it was the Magicman that swooped in! Thanks for the laugh, Greg. I actually "laughed out loud" at that one. You tell a good story. Nice spot for milling you've got there. Pass this message along to LD, he'll understand. I need me a Lumberdog like that one . I had a border collie years ago that loved to play fetch. I finally tried throwing a 6 foot 2 x 4. Since it laid flat, it was hard for him to pick up but no problem for him to carry. He laid it aside and brought a "stick" over to throw next. I think it was a piece of firewood about 5 inch diameter by 2 foot. He'd pick those up on a full out run and barely break stride. Handsome pup you've got there. Nice picture of your dog on the cant. 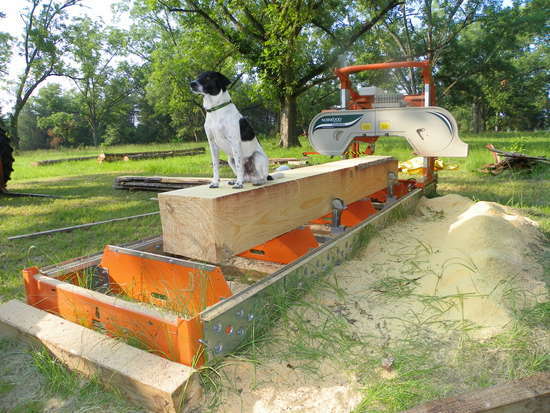 My wife's dog loves to play in the sawdust. Kinda off a long hair dog and she will come back with sawdust on her face and my wife knows the dog has been with PaPa. What do you think? Is this some sort of scam?